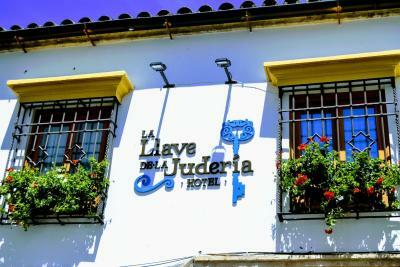 Lock in a great price for La llave de la Judería – rated 9.4 by recent guests! The location and a garage for our car. 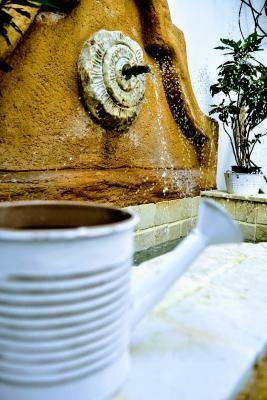 The rooms and the hotel are beautiful and located in the very heart of the city. Wonderful antiques in our room ! If you love older, unique boutique hotels in a great location this is perfect. It is not a modern facility & has a few quirks but a very pleasant stay. The staff was friendly & helpful. There was an exterior, walled patio, an interior open air courtyard & a rooftop deck, all with green plants and flowers. We paid for the full breakfast at 10E per person & thought it was a good value & very convenient. Great location in the old Jewish Quarter, so everything is easily walkable. The room was comfortable; bathroom was decent size; showers was great. Staff was very attentive. We paid extra to eat breakfast at the hotel for 10 euros. We did it for convenience. There are less expensive options nearby. 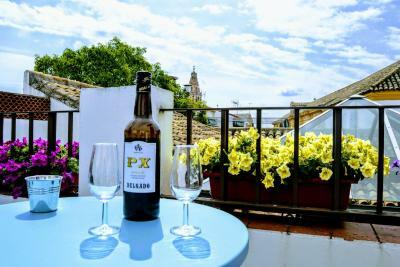 We were treated to some local wine when we arrived which we used to celebrate on the wonderful rooftop deck. The staff could not be more helpful. The hotel is beautiful! Very artistically decorated, kind staff, fantastic, convenient location for Alhambra visit. Very charming and characterful, staff were lovely and helpful! Everything was wonderful. We booked 2 rooms for our family. The host, Alberto, wins our award for one of the best hosts in our 40 years of travel. He gave us great restaurant and town recommendations. He booked our amazing equestrian show. Most importantly, he treated us like valued family members....catering to our every need with great enthusiasm. Rooms were well heated in December and beautifully decorated. Beds were very comfortable and the rooms were silent at night. Showers had plenty of hot water with good water pressure. Location was fabulous. The Mesquita-Cathedral is 2 minutes away - don’t miss it! 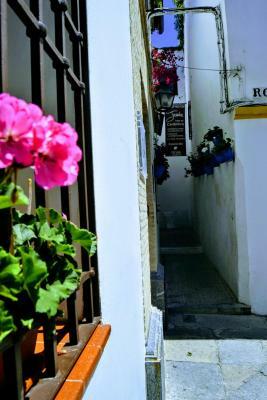 The drive down the very narrow streets to teach the hotel was great for us...it added to the charm and experience of the city. Parking garage was perfect and secure....and very close to the hotel. Wonderful stay - will stay here again during the Patio Festival! We loved it! It was charming throughout. There were many antiques. You felt like you were in the past, but the bathroom was great and functioned well. Also, our room was very quiet and large. I will recommend to one and all for the comfort, the location, the concierge (she is v. helpful), the breakfast buffet. The only thing it does not have that I always want in a hotel is a fitness center. The terrace for our room was a surprise and we loved it. La llave de la Judería This rating is a reflection of how the property compares to the industry standard when it comes to price, facilities and services available. It's based on a self-evaluation by the property. Use this rating to help choose your stay! 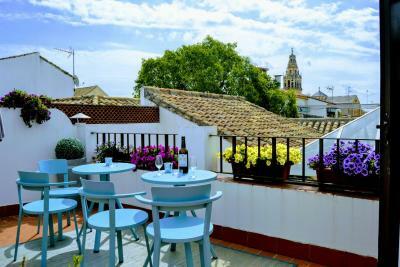 One of our top picks in Córdoba.Set 1,150 feet from Cordoba Mosque, La llave de la Judería in Córdoba offers a terrace. 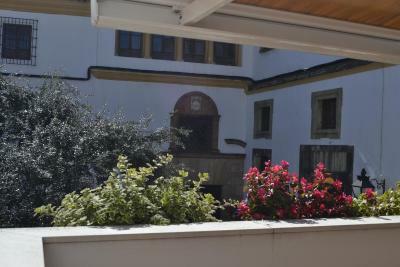 The property is located 850 feet from Cordoba Synagogue and 0.6 mi from Calahorra Tower. The accommodations provides a 24-hour front desk and a shared lounge for guests. All guest rooms in the hotel are fitted with a flat-screen TV with satellite channels. 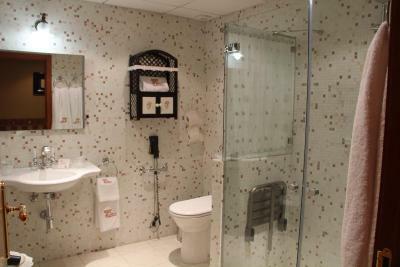 The private bathroom is equipped with a hot tub and free toiletries. 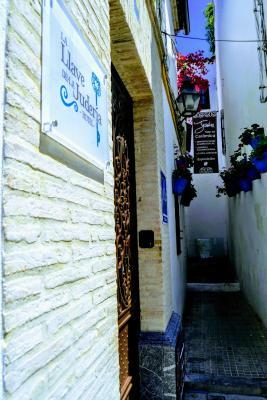 All rooms at La llave de la Judería include air conditioning and a safety deposit box. 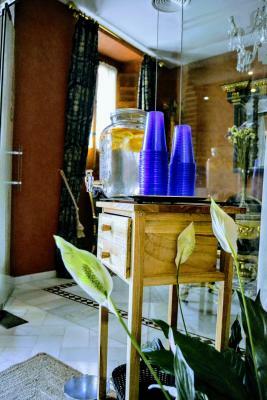 A continental breakfast is available daily at the accommodations. Comercial Center Zoco Córdoba. 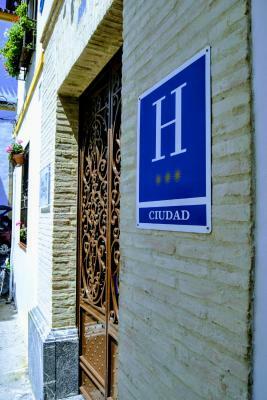 Is 1.6 mi from La llave de la Judería, while Viana Palace is 1.8 mi away. 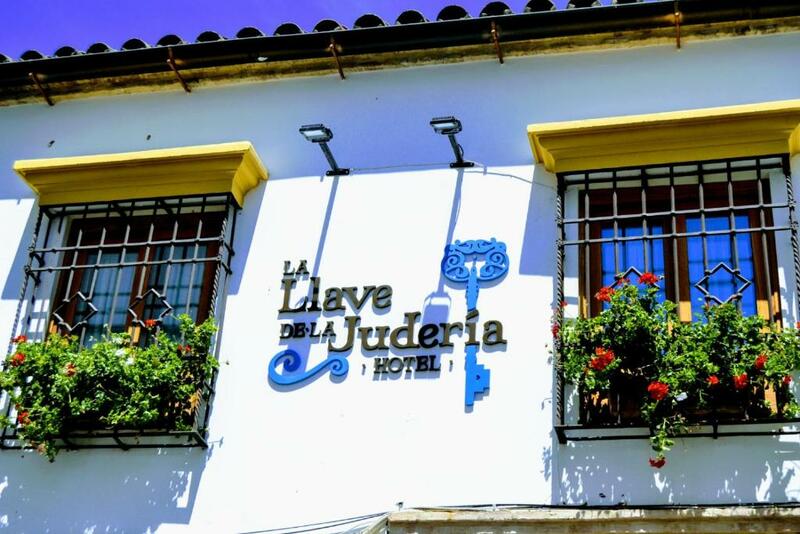 When would you like to stay at La llave de la Judería? 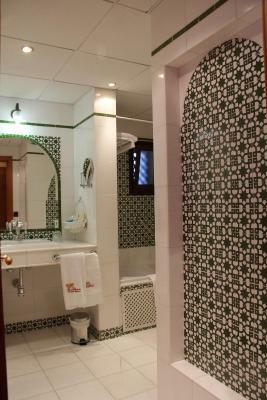 Air-conditioned room with satellite TV and a private bathroom with a hairdryer. House Rules La llave de la Judería takes special requests – add in the next step! All older children or adults are charged EUR 37 per person per night for extra beds. La llave de la Judería accepts these cards and reserves the right to temporarily hold an amount prior to arrival. Please note that access to the property’s parking lot is via a street marked with a No Entry sign. Guests are welcome to contact the property for more information on how to arrive by car, using the contact details found in the booking confirmation. The room was noisy, you could hear any step of personnel and guests walking around. Disappointing not to find a fridge in the room. 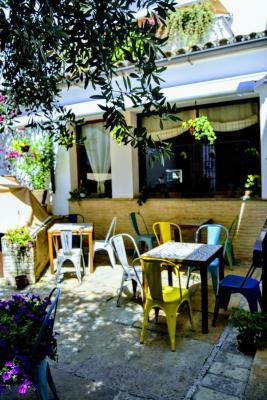 The location is excellent, in a charming small street just a few steps from major attractions. The breakfast is pleasant and the personnel very helpful. Not an effective air conditioner. Shower didn't drain well and the tub filled with water and leaked on the bathroom floor. Might need some maintenance. Breakfast was quite good but I found it expensive at 10 euros, and nobody informed me of the price until it was time to check out -- I'd thought it was included. And minor detail, but the payment policy said pay at property but the hotel charged my credit card two days in advance of my stay without warning. Not a big deal but this should be clearly stated somewhere. 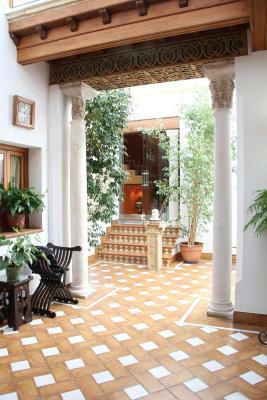 Absolutely lovely 9 room boutique hotel on a quiet street in the middle of the ancient Jewish quarter. Over the top old world charm in the decor and furnishings. I was warmly greeted at check in and offered a welcome coffee and to store my bags. The hotel staff went out of their way to provide a map and suggestions on what to see in the area. When I mentioned I am a vegetarian, the manager recommended a lovely restaurant on the riverfront where I had a fantastic lunch. 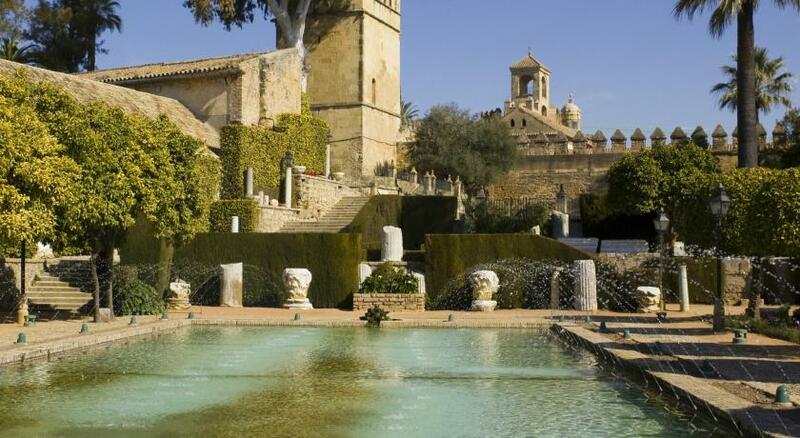 The room was beautiful, and they claimed the king of Spain had once stayed there. I have no way of knowing if that's true or not, but I definitely felt like royalty. 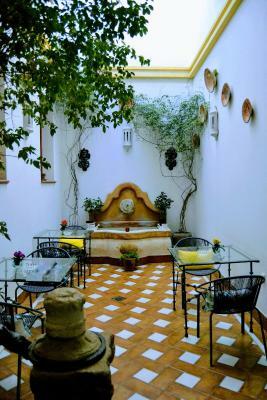 This was a splurge on a backpacking trip and it was just the perfect place to stay for a night in Cordoba. Recommended. Good breakfast, brilliant location and interior design, very helpful and nice staff. Whilst central location was great for accessing sites the downside was noise coming from the passing students/tourists. Not a big issue. Central location. Staff very helpful. Facilities in hotel pretty good. Cost of accommodation for the dog which we considered a little high - the amount was not disclosed until we had actually booked and paid for the room. 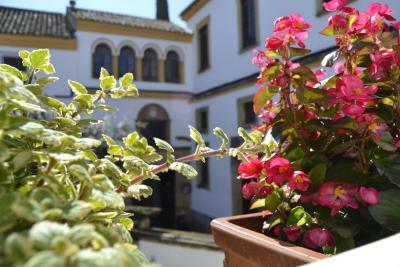 Beautifully furnished traditional hotel in a quiet area close to all major attractions. Maria on reception and all of the staff and management were welcoming, friendly and attentive to all our needs. The breakfast was excellent. 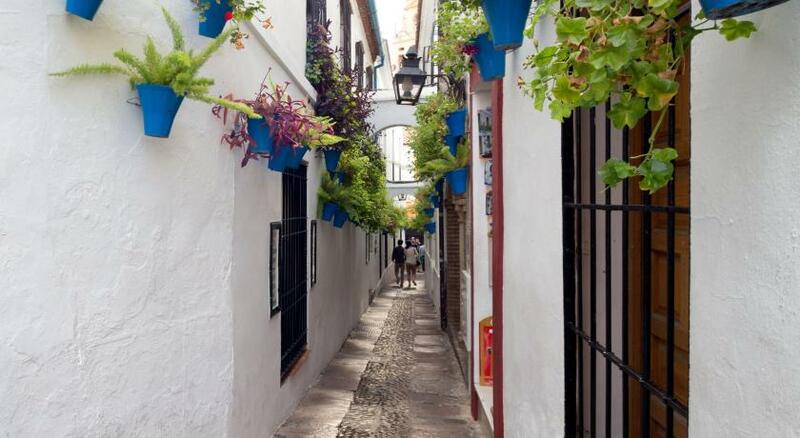 Perfect for a very pleasant leisure break in Cordoba.